Introduced by Creighton Sen. Tim Gragert, LB243 would create a 15-member healthy soils task force under the state Department of Agriculture. When developing the plan, the task force would examine how to provide farmers and ranchers with research, education, technical assistance and demonstration projects; financial incentives to improve soil health; and information on the contribution of livestock to soil health. It also would create a timeline to improve soil health in the state within five years of the plan’s completion. Task force members would include the director of the state Department of Agriculture or his or her designee and others appointed by the governor, including representatives of natural resources districts, production agriculture and agribusiness as well as academic experts and a representative from an environmental organization. The chairpersons of the Legislature’s Agriculture and Natural Resources committees would serve as nonvoting members. 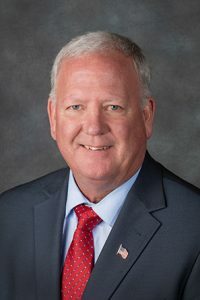 Gragert said improving the health of Nebraska’s soils is the most effective way for farmers and ranchers to increase crop productivity and profitability while also protecting the environment. He said healthy soils increase crop drought resilience, reduce soil erosion, enhance water quality and increase carbon sequestration. “If farmers and ranchers become more aware of the benefits of healthy soils, the state as a whole will benefit,” Gragert said. Annette Sudbeck, general manager of the Lewis and Clark NRD, testified in support of the bill, saying it would compile healthy soil practices into a concise package. “A healthy soils action plan is truly essential at this time of increased demand for crop production as well as the need to protect and improve our groundwater and surface water quality,” she said. Scott Gonnerman, a farmer from the Waco area, also testified in support. Since he started using soil health management and regenerative farming practices on his farm in 2008, he said, Gonnerman has stopped runoff from his fields, ended his use of insecticide and fungicide and cut his nitrogen use by more than 50 percent. Such practices are not secrets, he admitted. Steve Ebke gave neutral testimony on behalf of the Nebraska Corn Growers Association. He said the U.S. Department of Agriculture, grower associations and representatives from other industries already are engaged in research, education and the adoption of programs meant to encourage sustainable agriculture, including healthy soil practices. 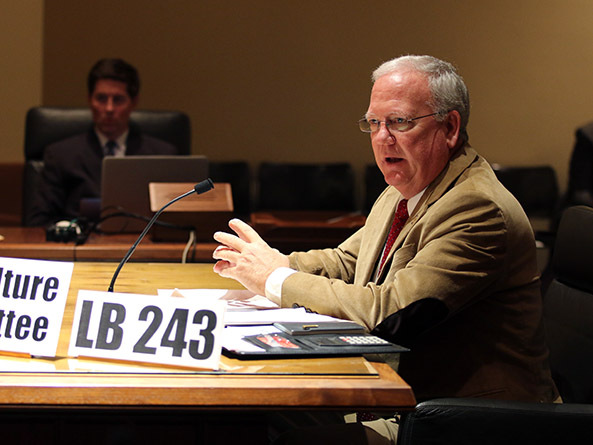 No one testified in opposition to LB243 and the committee took no immediate action on it.